We’ve seen some amazing transformations in our time, but our recent customer story may be one of our most spectacular. When our clients contacted us about transforming their staircases, it was clear their vision was to bring more light into their home via a show stopping glass staircase. 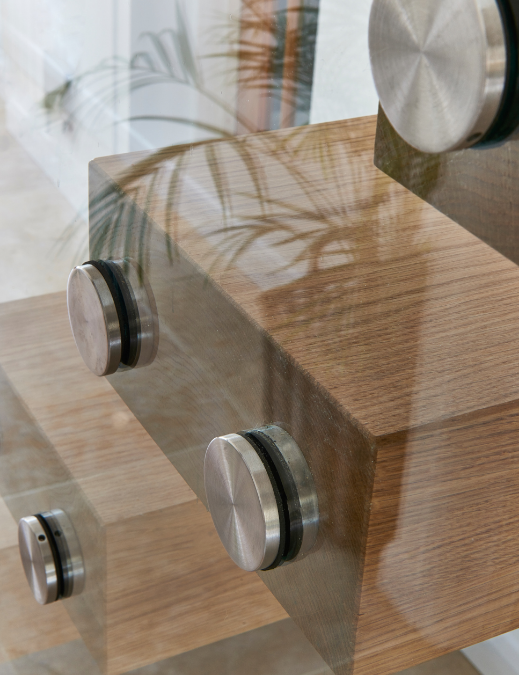 It’s rare that a project uses glass, metal and wood but the amalgamation of all three materials works so well in this instance. 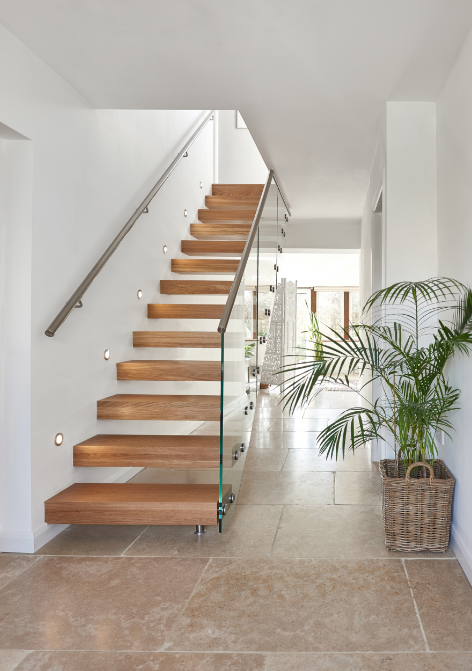 The glass paneling adds light to a previously dark space, whilst the brushed chrome handrails create sleek, modern lines which run your eye up the length of the staircase. 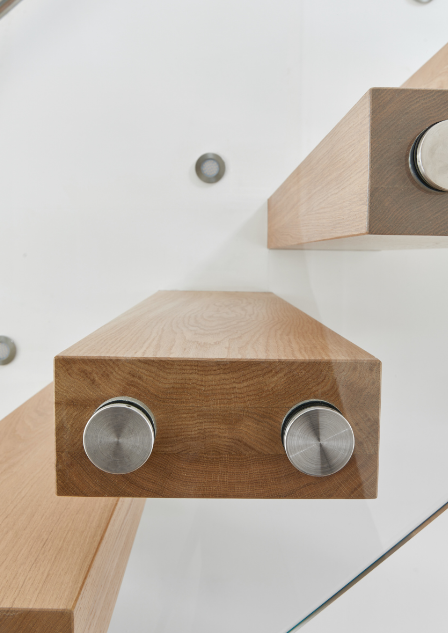 We used the same brushed chrome to pin the treads to the paneling using exposed infinity bolts, which are mirrored in the small circular LED’s we fitted into wall alongside the staircase; adding extra light. 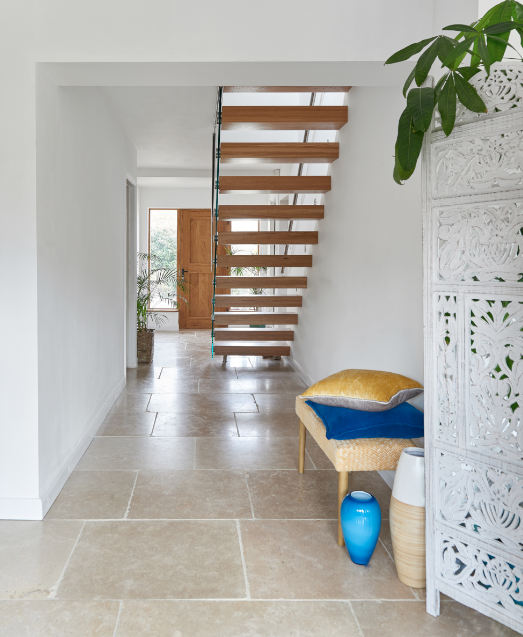 They wanted the space to feel settled so designed the staircase to standout as a distinct feature, whilst simultaneously blending into the home, as though it had always been there. 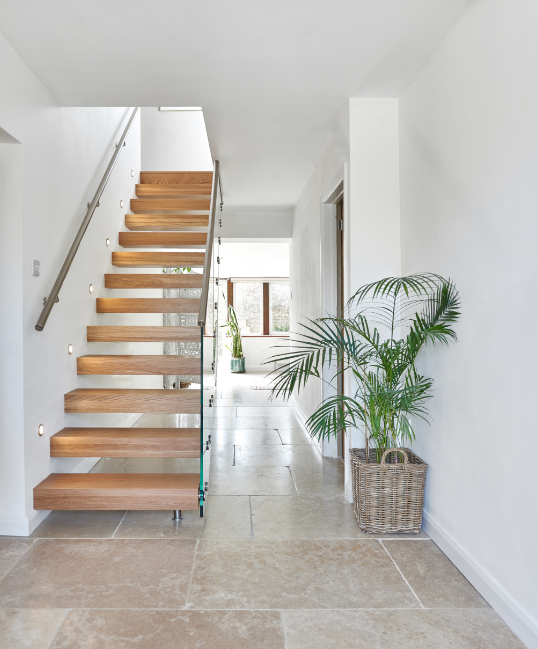 To achieve this, we used solid oak treads to replicate the natural materials found throughout the home, which had recently been renovated. 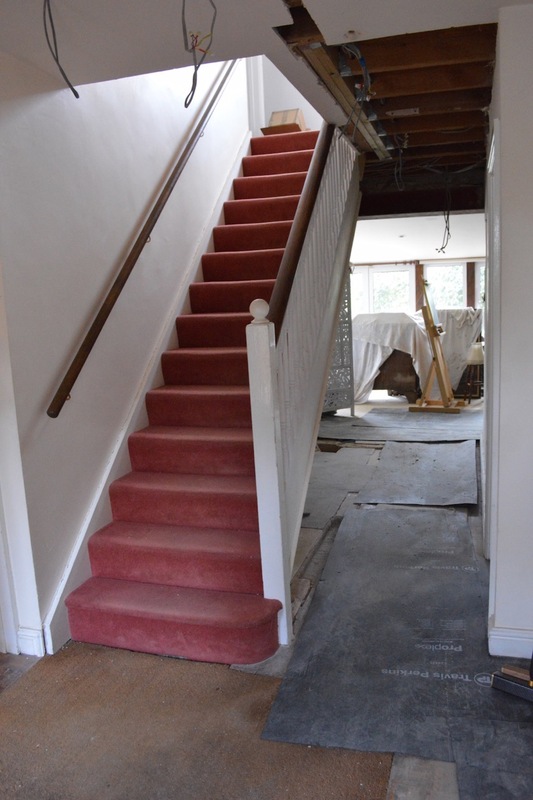 It was clear from the original images that this space had become unused and we wanted to breathe new life into a forgotten room, that has since become a warm and welcoming entrance to their home.